Diabetes Awareness Month…..Is the Outside World Learning Anything? November is Diabetes Awareness Month and the 14th is designated as Word Diabetes Day. It’s my understanding that the American Diabetes Association designated one and the International Diabetes Federation designated the other…..and it was so declared. Now I love ‘branding’. I love that I know what Nike means, what Polo means, and what the golden arches of McDonalds mean. One brand means one thing. As a diabetes community, have we missed the mark in this regard? I mean what is the one message we want to get out in November. In branding, you establish something that is instantly recognizable to the general public and you work hard (and sometimes billions of dollars) to ‘make that brand work’. Remember the ice bucket challenge. After that, everyone ran around searching for, and trying to be, ‘the next’ ice bucket challenge. Never quite understood that because the major organizations ALL HAVE MARQUEE fundraising events that raise hundreds of millions dollars each and every year…..they already are ‘the next thing’. A ‘next’ anything, for them, does not need to be created…….they have one already in walks and rides. Build upon what you have. Now I’m surely for the notion that everyone wants to ‘get involved’ and do their own thing. But I also know that we, as a community, are constantly reflecting upon the fact that there are so many identity problems in the world of diabetes. And during this month so many people are trying, and/or, doing their own thing that I ask, “Is the world at-large hearing or seeing one concise messaging?” In the attempt for so many to ‘improve’ upon a blue color, or get a message out, or be the ‘cute’ new thing about diabetes that there is SO MUCH going on, the public is not hearing any message at all? If you try to be everything to everyone, you usually end up nothing to anyone. I have been thinking about this for a while and I have an idea. The IDF conference, next month, is in Vancouver. November, as diabetes month, is a full 30 days in length. Why is there not a meeting among the tri-powerful JDRF, ADA, and the IDF; but every other organization is invited also. In actuality, would it be wrong to have/create a diabetes council? One representative of every organization and everyone meets at the IDF Conference and the ADA conference—twice a year. And at this meeting, every organization is equal. Actually this can be good for a lot of reasons but one focus could be……what is the single message needed to get out the following November? The first half of the meeting a discussion is held and ideas are thrown about what the message would be for diabetes Awareness Month. The list is whittled down to a few single messages, and a vote is taken and the one single message is decided. After November, everyone can go back to doing their own thing but for one month, one message. Because the resources of the JDRF, ADA, and IDF are bigger than, well probably everyone else, they accept the challenge (on a rotation basis) to come up with that year’s creative (the design) but there are also some pretty creative people in our community and perhaps they can be asked to be part of the design team because after all, it will belong to all of us in the community. The message is generic, but here is the thing, there is a space for ALL ORGANIZATIONS to brand it themselves. No matter how big or how small the organization, you can add your logo, your website, and/or your phone number to the art design with the generic message. Now for thirty days straight, the message is the same. The exact same. Unified. Everyone has been part of the process. But the world-at-large is now seeing the ONE MESSAGE about diabetes that has been agreed upon by the entire diabetes community for that year. Well, we all have been doing our own thing for so long, and I’m unsure what impact there really has been over the years for THE OUTSIDE WORLD to understand this disease; perhaps trying something else and working toward a unified message……well maybe that time has come……what do you think? Every One of these Magical Dancers has T1D…….and that Was Not The Only Magic. WOW!!!!!!! Everyone of these young ladies, dancing their hearts out, have type 1 diabetes. Dancing for Diabetes has that kind of magic that made this entire evening one of the most memorable of all my World Diabetes Days in all my 22 years on this journey……understanding the nature of it, it was a hugely memorable evening all around. The unsung heroes are both the behind- the-scenes people who orchestrated the night; and all those who arranged the choreography–brilliantly executed and thoroughly entertaining all. To say this was ‘just’ an evening of dance would be like saying the Super Bowl is just another football game. From hip-hop, to modern dance, to ballet to even a trip to Starbucks to see a hugely original dance to Kristen Chenoweth’s Taylor the Latte Boy; yes, this night had it all. Even an incredible diabetes education segment at the top of Act II…..absolutely flawless. Fifteen years ago a young tween-ager (at the time), but no less determined, began Dancing for Diabetes in her driveway in her Florida home. It was the brainchild of a talented dancer, Elizabeth Stein, who was diagnosed shortly before with T1D. Not to let diabetes stop her in any way, IN ANY WAY, she began Dancing for Diabetes to help others know that they can do anything while managing their diabetes. Indeed. When you see the graceful Elizabeth on home-made videos, you realize just how magnificent and dedicated she was to her craft. When you see her at work in a Florida Law office, you see an educated and focused office manager. When you see her speak of Dancing with Diabetes, you see a business woman with a fierce dedication to make this project work outside the boarders of her Florida State. But it is the softness, in this same woman’s eyes, when she speaks of the young dancers who are featured in the second act, all having diabetes. ‘I remember what it was like to dance and manage this disease. I know what they are going through.” And she does. When she is on one knee speaking to one of her dancers, she walks them through as they manage their diabetes. An outsider (me), cannot help but ask which is bigger, her knowledge of making Dancing for Diabetes the sharpest, tightest, and most professional evening of dance ever created; or her heart that cares so much for her dancers (and there were hundreds of them) especial those who dance with insulin pumps and CGMs on their waists and attached to their arms. Awe. Inspiring. Impressed. And quite frankly a few tears as I remember another little girl who loved dancing a lifetime ago. On this World Diabetes Day, I was taken back to a little girl who with her diabetes, wanted to dance as well….and dance she did. Diabetes did not stop her then, and at twenty-five it has not stopped her yet. In my seat of hundreds of people, I was alone; as tears filled my eyes watching this evening unfold. This one incredible evening unfold. Dancing for Diabetes is a nonprofit organization and the Diabetes Research Institute will receive the proceeds from this year’s event. Elizabeth has an army of friends and family who help her and this is one professionally run evening right down with signs on where to park outside the building. As I spoke to the sponsors and special guests at the reception following, I said that Dancing with Diabetes should be, no NEEDS to be, in every State of our great country—-and beyond. Turns out that is Elizabeth’s exact plan. So if you have a love for dance, or your child does, and you want to learn more about Dancing for Diabetes; send me an email at tkarlya@drif.org (write Dancing in the subject line) and I will have Elizabeth get back to you. It takes some work, but it is a fantastic evening and everyone should share in it. It was a World Diabetes Day to remember and for Elizabeth, by evening’s end, it would be even more-so as her boy friend dropped to one knee and asked her to marry him. She said yes. So here is something you can share with those people who do not have diabetes. A simple cup…….with a message. It just seemed to me that instead of it being a controversy, it could be used for a simple message…..a message that could save the life of someone you know and love. It’s ‘interesting enough’ that local newspaper and media outlets may share it also….share it with them. Share this with other sites, any sites. Place this on all social media. Anywhere where people who know nothing about diabetes may see it. If you received this post….kindly click the flyer above and print it out. Hang it somewhere where people will see it. Sometimes, at the onset, type 1 diabetes can seem like a flu/or virus; but it’s not. If someone you know has the signs above, ask your doctor to test for type 1 diabetes immediately. So if today is about getting a message out……this just may be a way to capture those who know nothing about diabetes, the message is surely there. Have a GREAT November 14th. Tomorrow is November 14th; Nothing Tops the Reason We Started…….and Nothing Ever Will. I’m all in favor of everything that will happen tomorrow, and for that matter, all this month regarding diabetes. Happy Birthday tomorrow, Dr. Banting and thank you for creating insulin; it–more than anything else ever discovered, created, invented, researched, and/or implemented is still the single-best finding EVER in the world of diabetes…..and everything else pales in comparison. But we surely are glad that everything else that has come along and will continue to come along on this journey……aren’t we? No matter what has happened in this journey, it all comes down to her. And in 2009 her brother was added to that drive. Two of my three kids having diabetes. It’s still my single focus and all that matters to me at the end of the day. It’s why I try not to get caught up in ‘stuff’ that does not interest me. What interests me is helping others and seeing that one day this disease is cured. For Kaitlyn. For Rob. For others. Nothing short of that is acceptable in my eyes. Many things that come along are appreciated but I’m always reminded of the headline when insulin was discovered which stated that it had been cured……..hmmmmmm?…..greatly helped……but not cured. I have a definition of cured in my mind, and you have what that means to you as well. We may differ how we will get there. We may differ on who, or what, will lead the way. We may differ on what ‘word’ we want to get out to the masses. We may differ what symbol and/or color should be used to represent us all. We may differ on who has written what, and how we sometimes want to hug the person, and sometimes we may even want to punch them in the nose. We may differ on organizations. We may differ on the emphasis of what is important. I have said it a million times, just ‘Don’t do Nothing’. And yet, over the years people have informed me that all they choose to do is take care of what they need to and I have learned we may differ in that thought too. But at the end of the day; when we crawl into bed, sign that last letter, post that last comment, give that last dollar, undo that last black-tie, tie that last sneaker, pedal that last bike we need to stop and we should look upon the face that started it all for us. No we do not need a reminder how we got involved, we will always remember the reason. But as the thirteenth of November turns into the fourteenth of November, look upon the face of the one who got you here. Either as they sleep, or by looking at a picture. And say to yourself yet again: Nothing matters as much. For me, nothing ever did matter more……and nothing ever will. Keep that thought and realize just how wonderful you are…….and multiply that by a hundred to realize just how wonderful and special your kids are as well. And how much their siblings and other relatives and friends have been there to help. And remember this……..no matter WHAT has happened to you in this journey, that face still stands as the single most reason to continue what ever it is that you do. 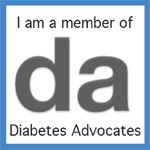 That is Diabetes Awareness Day to me; always has been….always will be….and it happens every day. You? I have always found it fascinating how Realty Show Stars and other celebrities capture the headlines. You know that at least three names jumped into your head as soon as you read the first line of today’s article. There’s always so much discussion how little people know about diabetes. How much more diabetes needs to be in the media. “People just do not know about it.” Yet celebrities and/or pseudo-celebrities CAPTURE the headlines with ridiculous feats of activity that just boggles the mind. Perhaps we should have diabetes pull a few stunts to get into the headlines. Ever notice how some major announcements by some of these people coincide with the opening of a movie, book, or television show……..trust me, it is NO accident. It got me to wondering……..
See how it works? Many people have been attributed with saying, I don’t care what the newspapers say as long as they spell my name correctly. (Mae West, PT Barnum, WC Fields and more). So as long as it is outrageous, they will print it. None of that worthy of headlines………that what we have here? I’m at a loss then. Think I’ll check-in and see what Khloe is doing tonight?????????? Hey, Yew Look’n at Me?? ?…..Blue Bosses in Charge; Until……. Here is a fun take/tale on the meeting between ‘bosses’. Enjoy for Diabetes Awareness Month. This is my guest blog for Diabetic Lifestyle. Show a group of Teens you Care…..THIS IS AN EASY ONE. This was created by a group of teens in the UK. The sole purpose was to generate enthusiasm and attention to diabetes during Diabetes Awareness month. Go to the page and hot like. Let these kids know that their work is appreciated and t het we ‘like’ their concept and idea. They did it completely on their own, the concept, the artwork, and the creation of the FB page. Teens making a diference…..this is a very good thing. Let them know……and please share this post also. Diabetes Awareness Month—How About Something Different this Year….Yes?. November is Diabetes Awareness month thus deemed so by the American Diabetes Association a long time ago and followed by the world. November 14th is Diabetes Awareness Day–in honor of Frederick Banting who is the youngest Nobel laureate in the area of Physiology/Medicine for his discovery of insulin (he did not do it alone but that is a different story for a different time). 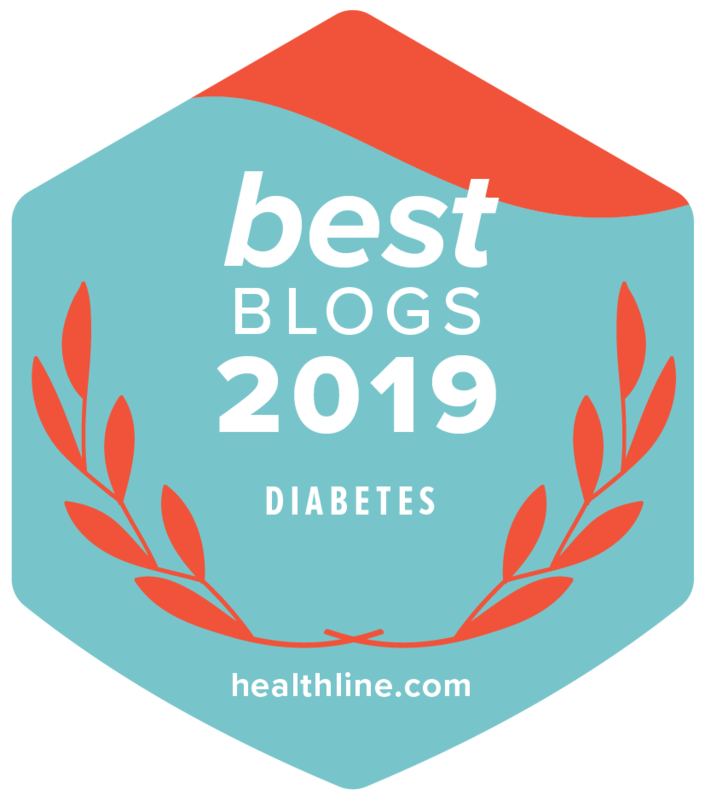 There are still miscommunications and misrepresentations across the board when it comes to diabetes and it seems no matter how hard we all try; each November comes and goes…..and here we are again. This should not be during one month a year, it should be all year round. The diabetes advocates try very hard to do this and I am happy they allow me to be part. I am going to do something different this November, diabetes awareness month. I’m not going to try to change the world, I’ll leave that to better minds than me. I’m doing something very simple. Very, Very simple. Want to join me? It’s not going to be a huge blue circle of umbrellas in central park with press releases, hype, and do this or do that………just a thank you. I might even use blue paper.